We also doing job work, If you are in need to replace the Rocker arm bushes, we are having all varieties in stock. 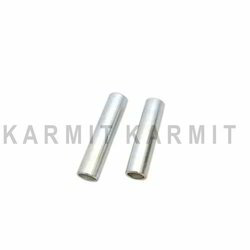 Made up of superior quality raw material, we manufacture and supply racker arm bushes and control arm bush that are vastly used in the automotive sector. Leveraging on our vast industrial experience we have been offering a wide assortment of bimetal bushings built from regular material equivalent to SAE Standards (SAE 797 and SAE 799). This material used by us is shock resistant and hard, offering high fatigue strength to bush. It is appropriate for high-speed hardened shafts of oscillating or rotating motion. With the help of our state-of-the-art infrastructure unit, we are able to manufacture superlative quality of Insulator for Stator Leads for PSTB that is offered in various dimensions as per the needs of our clients. The offered range is designed and manufactured using the optimum quality material as per the set industry norms. We came into existence in as a leading manufacturer of Rocker Bushes. Made of superior quality raw material, these bearings are highly durable, light in weight and long-lasting. These bearings are widely used in marine, generator Industry and various segments of engineering sector. We are offering the perfect range of Rocker Arm Bushing, which are also known as engine components. It is a reciprocating levers that to transmit radial from the cam lobe into linear movement at the poppet valve to open it. On various parameters it forcefully tested so that we able to provide the perfect quality to the client.